Get not just strength but a set of powerful abilities turned into Thanos, the god of death. Perhaps you have seen Thanos Infinity Gauntlet addon which unfortunately does not give excellent properties to its owner. 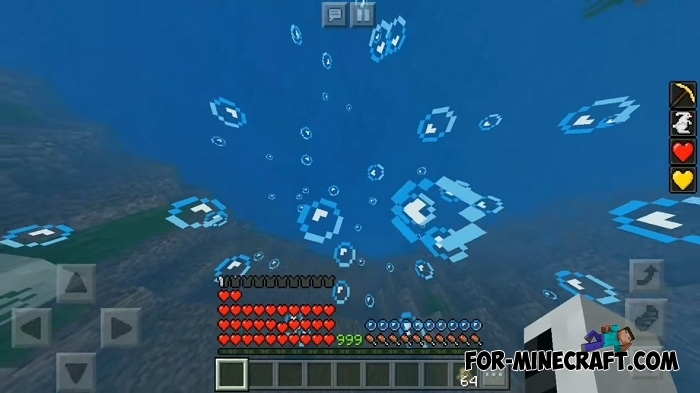 To fix this and become real Thanos you'll need Thanos's Power addon. 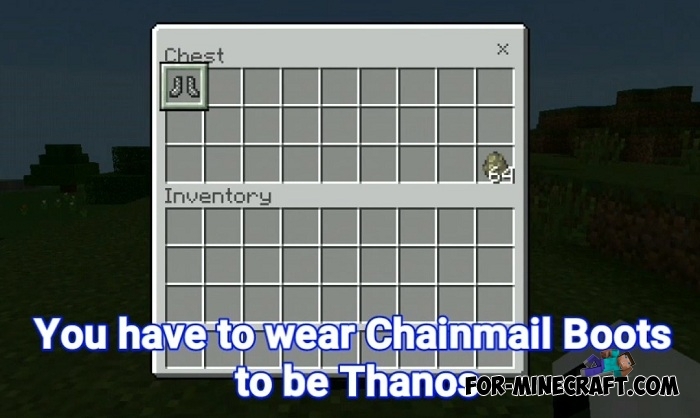 You have to wear chailmail boots to be Thanos. 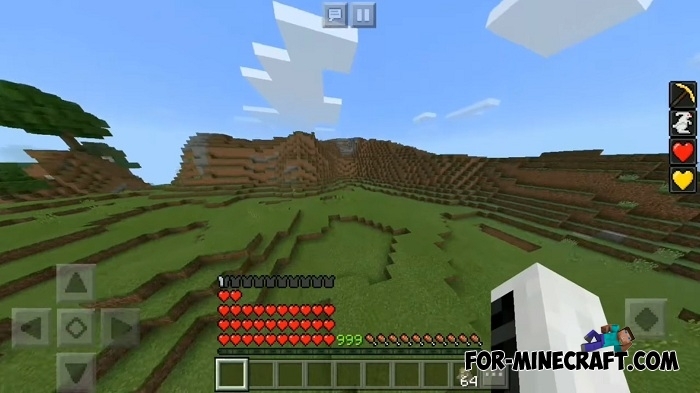 Your skills and abilities such as strength, speed, jumps and even sizes will become better, thereby you will be able to defeat not only any mob but also all players. How to install Thanos's Power addon?